Mykki Blanco is the stage name of American poet and performing artist Michael David Quattlebaum Jr. He’s an interdisciplinary artist who uses contemporary hip-hop as a performance medium to express his larger ideas. In 2011 he published his first book of poems, From the Silence of Duchamp to the Noise of Boys. 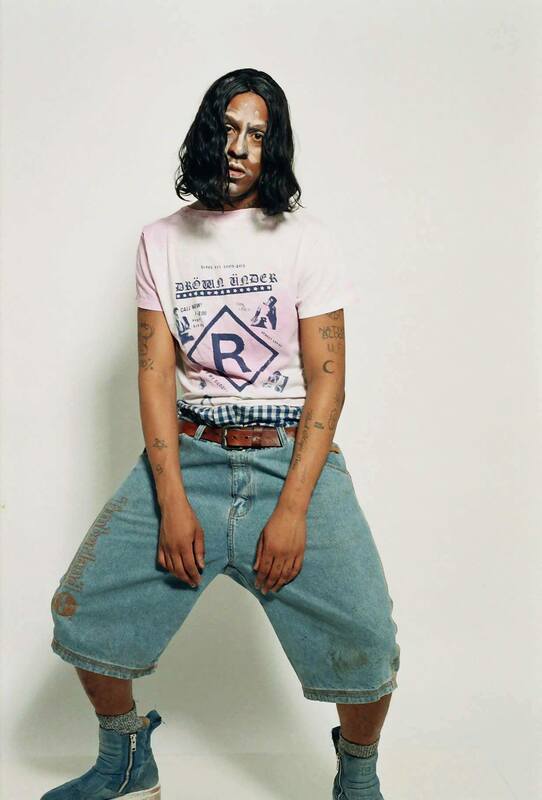 He also began performing two new projects, crushing industrial rock under the name No Fear and glamorous, ghetto-fabulous riot grrrl rap under the name Mykki Blanco. In 2012, Mykki made her grand entrance with the Mykki Blanco and the Mutant Angels EP. Later that year, Blanco dropped the seminal Cosmic Angel Mixtape, dubbed “From Teenage Runaway to Hip Hop Queen” in a profile by the New York Times that solidified Blanco’s stature in hip-hop. On May 21, 2013 Blanco released his second work Betty Rubble: The Initiation EP.